When it comes to salads, I go through phases. Depending on my mood, I either love them or hate them. Right now, I’m not a fan of the traditional lettuce, chicken and Italian dressing combo that I usually go for, I’m sick of it and needed a new healthy meal idea. Enter the Glory Bowl. The first time I had a Glory Bowl was at The Tea Gallery (a little lunch place in my hometown of Houston, BC) and I fell in love. 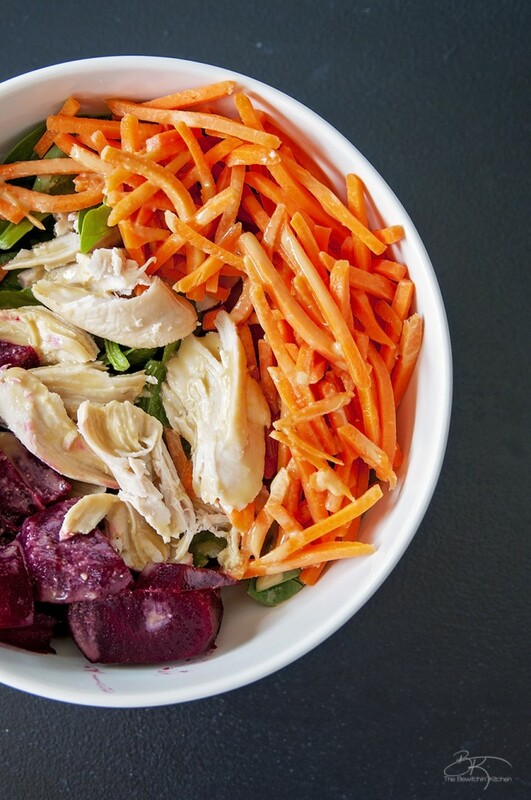 The Glory Bowl has beets, carrots, spinach and a delicious dressing that brought it all together. 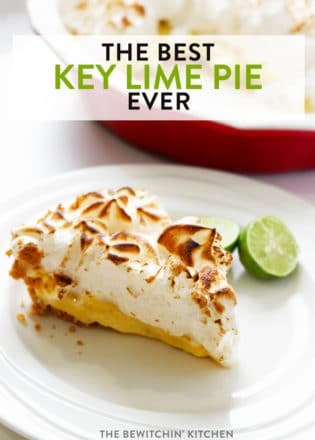 When I got home, I jumped on Google and found the recipe I was looking for on Canadian Living and as it turns out the original recipe is from a Nelson, BC chef, Shelley Adams (you can find out more about Shelley and her cookbooks over at Whitewater Cooks). 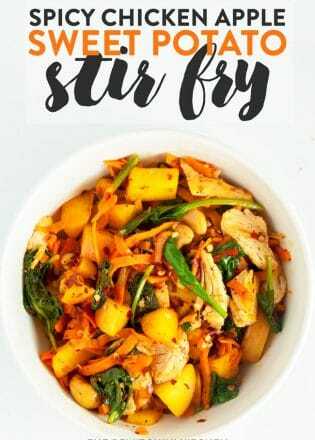 As it turns out this wholesome recipe is well known across British Columbia and when I punched it into MyFitness Pal I got a little surprise: one serving was just under 800 calories. There was quite a bit of fat in the recipe, but it’s all good fat and I’m not at all worried about it. I swapped out rice for quinoa, tofu for chicken, vegetable oil for olive oil and lowered the quantity. 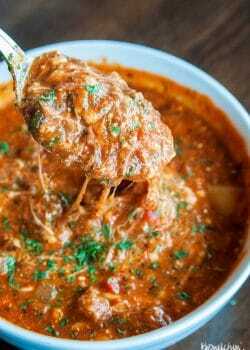 If you would like the original recipe please visit the links above for either Canadian Living or Whitewater Cooks. If you would like to try my version, see this healthy meal idea below. Sign up to be notified when Delish Dressings (my new recipe eBook) is released! Let everything cool, chop up what you need to chop up, store in containers and pop in the fridge. The Glory Bowl is one of my favorite salad recipes. It's a healthy meal idea that's great for nutritious lunch or dinner recipe. Cook quinoa following package directions, set aside. Add all of the ingredients into a blender and blend until mixed. Add into a mason jar or plastic container, store in the fridge for up to a week. At the bottom of your bowl add 1/3 cup of quinoa, top with a handful or two of spinach. 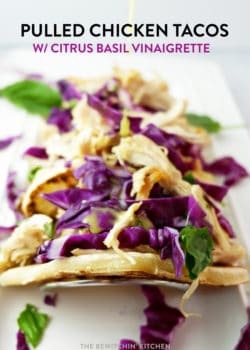 Add a handful of sliced or shredded chicken to the center. 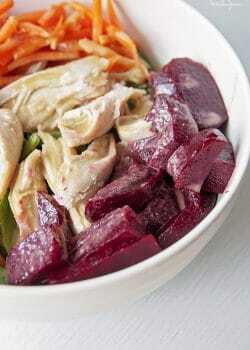 Surround the chicken with beets and carrots. Pour 2-3 tbsps of the dressing over top and enjoy. Yes, a “handful” is not the best measurement guide, but when I put together my salads it’s what I do for the most part. I use about half a large beet in each bowl and about 1/4 cup of the matchstick carrots. Share your healthy meal idea in the comments! I go through salad phases too. I will find one a like and make it all the time, then stop completely switch to something else and then start all over again. Thanks for sharing this tasty recipe. I love salads and that one looks so delicious. It looks super healthy, too. I can’t wait to try this. I too go through salad phases, I’ll eat them for days on end and then promptly forget they even exist. I’ve never heard of a Glory Bowl, but I’m definitely intrigued. Look so good! I really get tired of salads too. I do eat 1-2 per day so I run out of ideas. Thank you for sharing this awesome recipe! Love the name, “Glory Bowl!” 🙂 Your version sounds absolutely delicious, too. Pinned! Oh can I love everything about this?! The beets, the chicken, the dressing – SWOON. Making this and pinning! Love salads but tired of the same old thing. What a nice change this would be!! Would this be 21 day fix approved? The dressing? 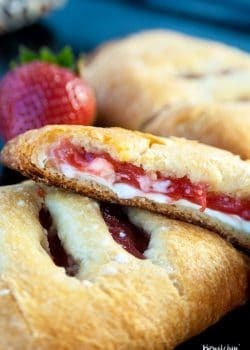 It sound delicious and would love ro make it.